The all-new sixth generation Sonata has reinvented itself by adapting a more sculpted or aerodynamic design, a new gasoline direct injection powertrain system and digital HD Radio Technology – industry firsts in many respects that should cause other mid-size sedans to start sweating. I drove a 2011 Hyundai Sonata with the 274-horsepower 2.4-liter Gasoline Direct Injection (GDI) 4-cylinder engine with Continuous Variable Value Timing and 6-speed automatic transmission with SHIFTRONIC paddle shifters. Available in three trims – GLS, SE and Limited – my SE trim came standard with sport-tuned suspension, 18-inch alloy wheels, chrome-tipped dual exhaust, push-button start, leather-trimmed sport seats, a power driver seat, leather-wrapped steering wheel (with audio and phone controls), a 6-speaker stereo system with XM radio, Bluetooth and an advanced trip computer. Optional features included the $2,600 Navigation and Sunroof Package (power sunroof, a high-resolution touch screen that includes XM NaviTraffic and NaviWeather and the Dimension premium stereo with a subwoofer). Total vehicle price came to $25,295. The Sonata has been specifically designed to out-power all top sedan competitors like the Camry, Accord, Altima and Fusion. On average, the Sonata offers an extra 25-horsepower than these competitors, puts out the most torque and does have the best fuel economy at 22-city/35-highway driving MPG. And because the 2011 Hyundai Sonata truly does possess stunning style inside and out (at an irresistible price, too), the sedan is far from a hard sell. 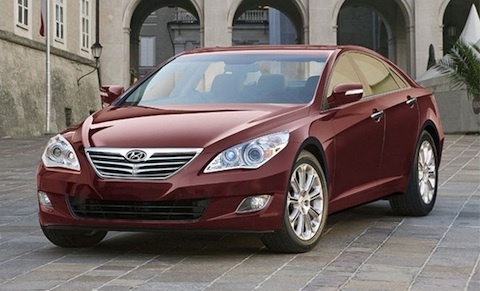 Stylish But Comfortable Results: The Sonata design looks incredibly sporty and sophisticated. The interior is just an impressive with Volvo-style climate control buttons, large sunroof, amble legroom and a simple but classy display screen in the center console. What’s nice about the Sonata – and unlike many competitors – is Hyundai trim lineup is completely uncluttered: Your choices are a base; an impressive middle SE trim; or the top-of-the-line Limited. Reliability & Safety Factor: The 2011 Hyundai Sonata is a Top Safety Pick by The Insurance Institute for Highway Safety (IIHS) for having ratings of “Good” in all crash test areas (frontal, side, rear and rollover). The National Highway Traffic Safety Administration (NHTSA) gave the 2011 model nearly 5-star ratings in all areas (omit 4-stars for frontal crash). Recalls and investigations were administered regarding the steering column. Cost Issues: The Sonata can be had as a cheaper, no-frills commuter car for just under $20k; but that extra $5k – in the form of an upgraded trim and impressive optional features like a navigation system – can make all the difference to your everyday driving life. Even if you do opt for a top-of-the-line Limited trim with the optional navigation, you’re still way under expensive at $27,395. Activity & Performance Ability: The Sonata offers a firm and spirited drive that stays planted at the turns. The new gasoline direct injection powertrain system offers a robust jolt right when it should and ups the fun factor during highway acceleration. It’s hard to find a performance flaw with the car, so my only driving complaints are ones of comfort – first, the steering wheel design or webbing is so small in some sections I couldn’t comfortable get a grip or rest my hands; and secondly, the seat headrests fold the neck forward awkwardly. The Green Concern: The new gasoline direct injection powertrain system is Hyundai’s way of delivering V6 performance but at 4-cyinder engine gas stats (26-MPG on average). There is also a smaller 2.0-liter engine. For a knock-you-out price of $25k, the Sonata is a pleasing and much-needed alternative – both in sophisticated style and performance – if you are growing tired of the same old sedan lineup. The gasoline direct injection powertrain system gives a noticeable boost for V6 engine performance, but without the cost of burning up gas too much at an average of 26-MGP.